I "converted" to Oxi-Clean stain remover three years ago; it totally saved and cleaned a badly stained and much-loved tablecloth that I was about to throw away. Once I saw that, I became a true believer; this stuff works. 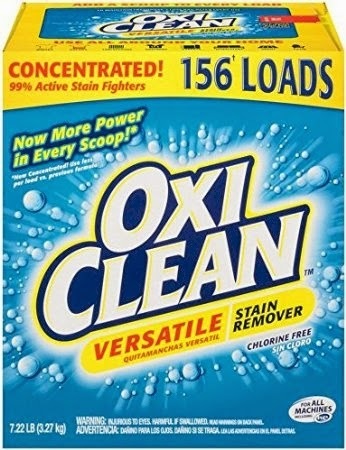 Oxi-Clean got 4.5 out of 5 stars over 1,601 customer reviews and is an "Amazon's Choice" item. Amazon recently dropped the price on this 7.22 box of Oxi-Clean back down to $9.98. This Amazon deal, which works out to $1.38 per lb. actually beats Costco's price of $1.80 per lb. .